Birdwatching Trips ... and much more! 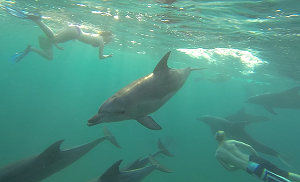 Our Swim with Dolphins tours are done in southern Mozambique. Swimming with dolphins in South Africa is illegal but this is not the case in Mozambique. Our swim with dolphins tour can be combined with a safari to the Tembe Elephant Park, so in one day you can swim with dolphins in the wild and view elephants in the sand forests of Northern Maputaland. The east coast of Southern Africa has warm, crystal clear, calm water and large populations of Bottlenose Dolphins, Humpback Dolphins and Spinner Dolphins. Join us on a boat ride out to sea where we search for and swim with dolphins in the wild. Swimming with dolphins trips are for all ages. One day and multiple day Dolphin Safaris available. Walk on a pristine beach under South African skies and view and photograph Loggerhead and Leatherback turtles nesting along the beaches of northern KZN. We do turtle tours to the beach with the highest turtle nesting concentration anywhere in South Africa and anywhere in Africa. St Lucia turtles nest from November to February, thereafter, our turtle tours go out in search of baby turtles hatching and making their way down to the ocean. Our St Lucia Turtle Tours which go up to the Maputaland Marine Sanctuary can be done as single day Turtle Tours or overnight turtle tours. Join us for a day of snorkeling, sun, sand and wildlife on a Cape Vidal Snorkeling Safari. We begin from St Lucia and travel north through the iSimangaliso Wetlands Park, viewing wildlife along the way. At Cape Vidal, Snorkeling is behind a reef at low tide when there is protection from the ocean swell. Cape Vidal Snorkeling trips include a full lunch and we provide all snorkeling equipment free of charge. You can drive to Cape Vidal on your own and snorkel there, but please contact us for more information because at Cape Vidal, snorkeling is dangerous at the incorrect time, The tides have to be taken into consideration when planning a Cape Vidal snorkeling trip. Join us in an open safari vehicle on a tour of the Hluhluwe-iMfolozi Park, the oldest game reserve in Africa and the park with the highest game concentrations in Africa. On safari in the Hluhluwe-iMfolozi Park, you have the chance of seeing all of the Big 5 and many other South African wildlife species. 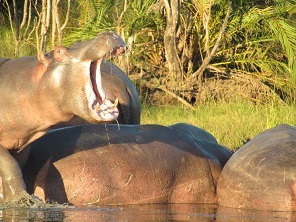 We do day safaris to Hluhluwe-iMfolozi and longer trips where we overnight in the Hluhluwe-iMfolozi Park. 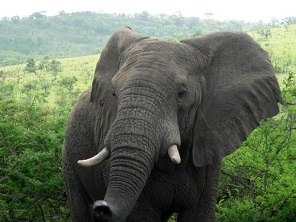 We arrange Hluhluwe-iMfolozi Safari and Walking Trails packages. Hluhluwe-iMfolozi is easily accessible from St Lucia and close enough to do a day trip. We also do overnight Hluhluwe-iMfolozi Safaris. St Lucia Wetlands tours and safaris go into the iSimangaliso Wetlands Park, formerly known as the Greater St Lucia Wetlands Park. Come and experience the huge diversity of the St Lucia Wetlands, its wildlife, birds and scenery. Our St Lucia Wetlands tours include St Lucia Wetlands Safaris in an open Safari vehicle and St Lucia Wetland walks where you can experience the St Lucia Wetlands on foot. Our St Lucia Wetlands Tours and Safaris also include a visit to Cape Vidal to do snorkeling. At Cape Vidal, snorkeling is safe for young and old when ocean conditions allow. Catch and release Jozini tiger fishing adventures. 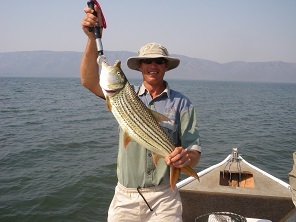 Extreme Jozini tiger fishing day trips and complete tiger fishing package holidays. Join us on one of our spacious tiger fishing charter boats on lake Jozini for of the most exciting fishing you have ever experienced. We specialize in a variety of tiger fishing techniques and our skippers are dedicated to finding the fish and putting you into the best positions to catch Tiger fish. Our Jozini tiger fishing packages offer the option of a wide variety of accommodation options, from camping sites to luxury houseboats. If you are a keen fisherman and have never caught a Tiger fish, a Jozini tiger fishing trip is an opportunity not to be missed. We also offer free advise on Jozini tiger fishing techniques and Jozini tiger fishing tackle. To swim with turtles in the wild is one of the most exhilarating things you can do while touring South Africa. 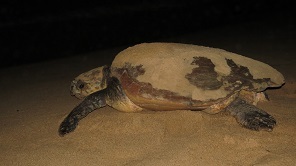 In South Africa, turtles are resident along the coast and we view them all year round. When the turtles are not nesting, we do snorkeling trips where we view turtles underwater, doing what turtles do best, gliding through the turquoise water. 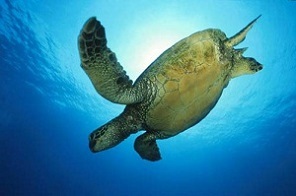 To do a swim with turtles tour, you need a moderate level of fitness and you need to be able to swim in deep water. Our Swim with Turtles adventures include swimming with Dolphins, Big 5 Safaris in Tembe Elephant Park and the Hluhluwe-iMfolozi Park and a visit to Kosi Bay and the Kosi Bay Lake System. Visit all the best St Lucia birdwatching spots with a professional guide. Explore the iSimangaliso Wetlands Park, Hluhluwe-iMfolozi Park, Lake Jozini, Kosi Bay, Bhanga Nek, Muzi Pans, and the Tembe Elephant Park. 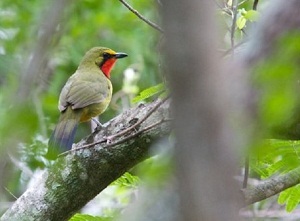 St Lucia birding / birdwatching is varies with a range of different habitats to visit. At St Lucia, birdwatching can also be combined with other activities such as turtle tours and dolphin safaris where you can swim with dolphins in the morning then visit the Tembe Elephant Park in the afternoon for more birdwatching and the chance to see Africa's biggest elephants. St Lucia birding tours and safaris offer more than just birdwatching because the parks we spend time in are also home to large populations of animals, large and small. I was so lucky to have been booked on 2 weekend getaways with Extreme Nature Tours last month by my volunteer group, one to Mozambique and one to Kosi Bay. Both times our groups were in absolutely excellent hands. Our expert Guide, Pete did anything and everything to make sure we're were all comfortable, well fed, entertained, safe and feeling at home, at all times. These experiences were filled with so many of what felt like once-in-a-lifetime moments and created lasting friendships, as well as some amazing photo opportunities. Above all, being around Pete himself was a total pleasure and I'd totally love to book with him again in the future when I'm back in the area! I hope to be soon! St Lucia, South Africa's wildlife jewel. There is no other place in Africa which has such a variety of wildlife, ranging from marine animals including whales, dolphins and whale sharks to the large terrestrial animals including rhinoceros, elephants and herds of buffalo. Of all the wildlife and safari destinations in South Africa, St Lucia and the surrounding area is one of the best, offering everything from game viewing safaris, birding tours, water safaris to snorkeling at Cape Vidal, turtle nesting tours and self guided hiking trails. St Lucia (Saint Lucia) South Africa has a large variety of accommodation establishments to suite your budget, ranging from camping sites to luxury lodges, guest houses and B&B's. If you love nature and wildlife, you will fall in love with St Lucia and the surrounding areas including Zululand and Maputaland. St Lucia activities are wildlife based and include wildlife safaris, ocean safaris, boat cruises, horse trails, hiking trails, whale watching, turtle tours and snorkeling safaris. We also arrange transport from King Shaka International Airport to St Lucia, iSimangaliso, Hluhluwe-iMfolozi Park, Sodwana Bay, Kosi Bay, Swaziland and Mozambique.